This entry was posted in Drives, Technical on October 25, 2014 by admin. 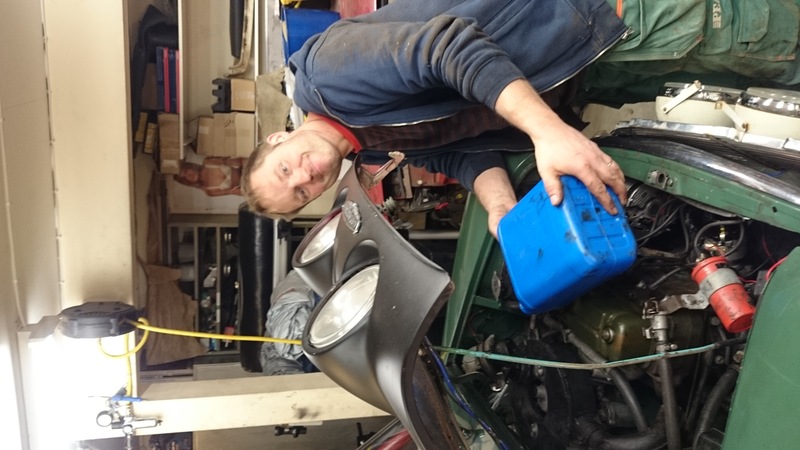 ￼There is some work going on in the garage. 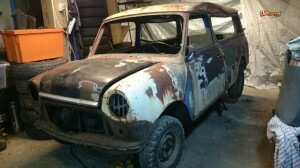 In a weeks time the Rallycooper will roll down to France for the annual November Sun Run, http://www.15-50ac.org. We, me and my team member/navigator/mechanic Joel (www.minilimo.se), have done some work already: oil change, alternator, clutch release bearing, brake check, shock absorbers, wheel setup and suspension, reverse light, windscreen washer and jets, raising the hi-lo suspension kit so 12 inch unstudded winter tyres on Rover rims could be mounted, sort out spares and tools,change seats, equip with torches, and more. Test drive and change of door numberplates is next on the schedule. This entry was posted in Events, Technical on October 25, 2014 by admin. I couldn’t believe my eyes! Here he was, the man with most Moke knowledge in Sweden, Thomas Cronqvist himself! In my garage! Yesterday evening! He was on work in the region and popped in to have a chat and of course to inspect the Mokes! 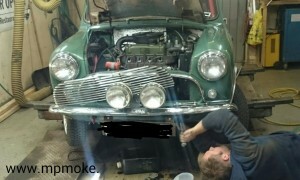 Very nice evening with anorak talk about Moke details. He learnt me that the yellow Moke, Miss Moneypenny , is actual a Mk 2 Moke with the hinges for the engine hood high up. We did had time to drink some coffee as well. 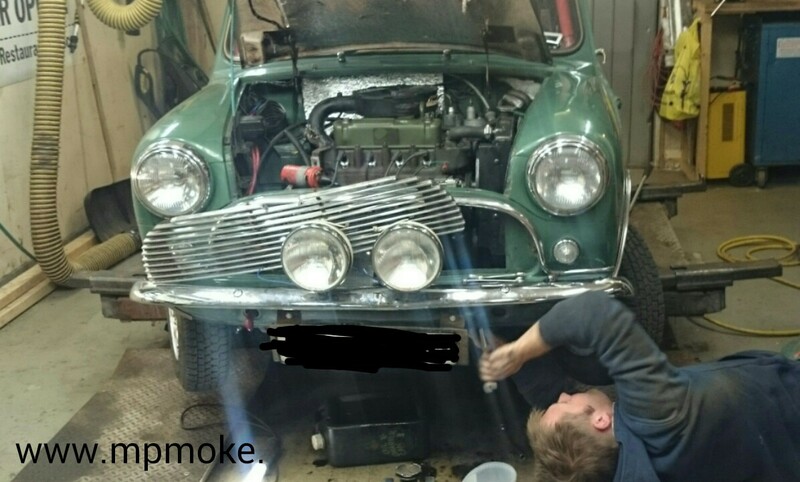 This entry was posted in Quick update, Technical and tagged Moke minimoke.se on October 21, 2014 by admin. The Mini is dead, long live the Mini! It was a great day. About 20 Minis showed up to the three different parts. First we gathered at the castle and went to see some rally. We drove off to lunch before next gathering at the cathedral. 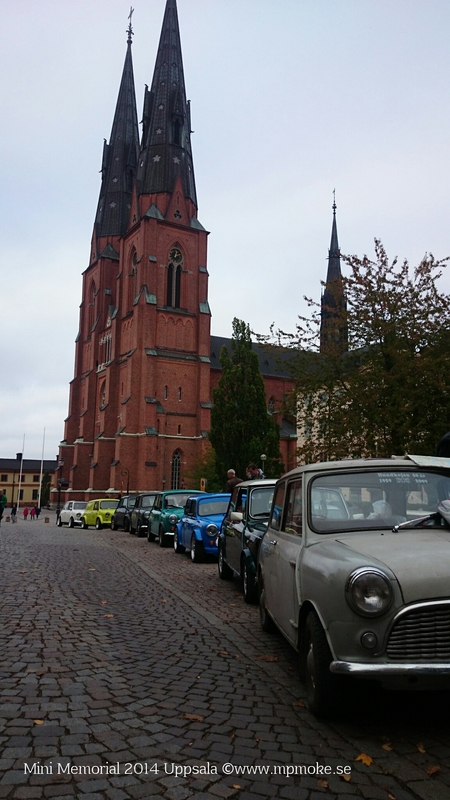 We held a minute of silence for the Mini. 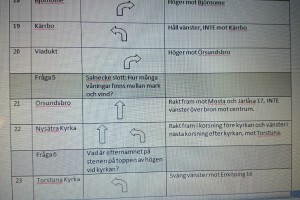 Some participants grabbed a paper with notes how to drive and took off towards Enköping, driving smaller roadsand finding answers to questions. We had coffee and chatted before the prize giving for the quiz rally . A bunch of Minis drove off to the food, pictures and social evening part of the meeting. Very nice food and an open bar helped to raise the level of social chatting. Some stayed the night and some drove back home in the darkness. A great day was over. This entry was posted in Drives, Events on October 5, 2014 by admin. 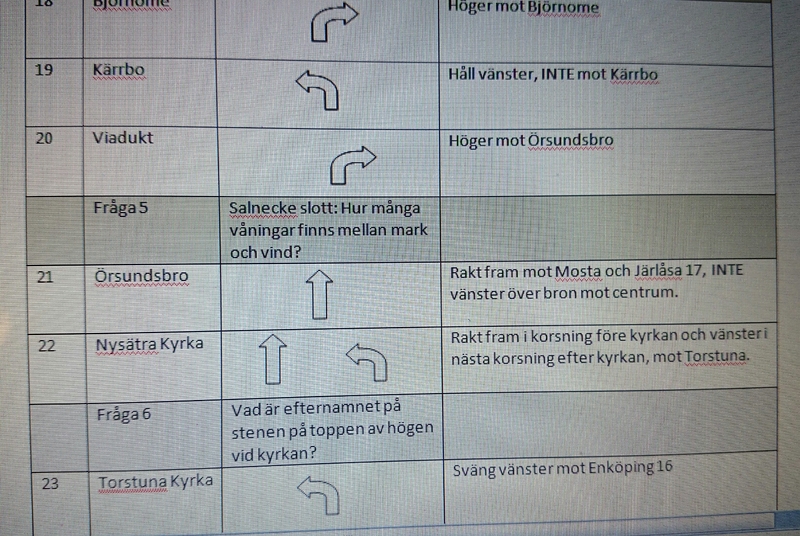 So, now we have a simple roadbook for the “rally” part of the full day meeting Mini Memorial the will start in Uppsala within a few hours. This entry was posted in Drives, Events, Technical on October 4, 2014 by admin. Happy days are here again. 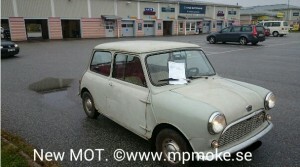 The 1959 Mini passed the MOT yesterday with blank sheet of paper. Now it’s road legal for the coming two years! This entry was posted in Quick update, Technical on October 4, 2014 by admin. Nice project for the person with visions, time and big heart. Lots of rust, interesting metal work. Backdoors on the car, with windows but rusty. No interior except for rotten front chairs. Located just outside Uppsala. Come to Uppsala, give me 1000 SEK and you can bring it home. Add extra money and I will give you an automatic motor with the special subframe.